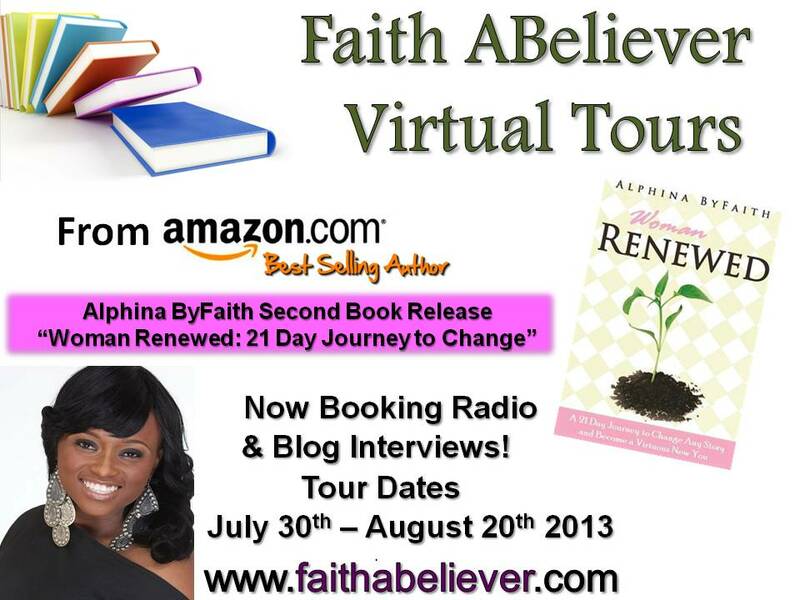 Amazon Best Selling Author Alphina ByFaith. Tuesday, August 6th LW! 'S The Author's Hideaway! August 13, 2013 also marks the birthday of Alphina ByFaith, and she invites you to celebrate this significant day with her, by participating in the WOMAN RENEWED world debut. Whether her goal is to become a virtuous woman, the ultimate super mum, or simply transition out of a situation, or change her story, the 21 Day Journey of Woman Renewed will challenge every woman to believe that truly no condition is permanent, and nothing is too difficult for God to do. 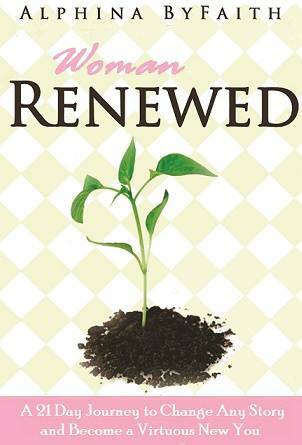 Woman Renewed examines the lives and examples from women in the bible, and implements their lessons to help the modern day woman become more sharpened, equipped, and renewed to be all that God intended for her to be. Alphina ByFaith is a Christian speaker, event host, and author whose mission is to use the Word of God to empower her generation into purpose. Her first book, Youth Renewed debuted in 2012, and became an Amazon Bestseller. Alphina is the founder of Beyond Walls Empowerment Commission, and hosts an annual mother’s day event, Mummy Tea and Destiny – empowering the single mother to go beyond walls. This former Miss Sierra Leone USA (2001) is also a worship leader and songwriter, with a passion to see lives renewed. She is a mother of two, and her very unique, diverse, and personal life experiences, have equipped her with stories of survival, hope, and inspiration that continue to bless lives around the world. She holds a Bachelors of Arts from Indiana University of PA, and a Masters in Organizational/Non-Profit Management from Trinity University in Washington, DC.